Nine hours away from the nearest large town, Dr Adele Daleke Lisi Aluma speaks to Robert, who manages a small health clinic on an island in the Lake Chad Basin. With paperwork spread around them, she listens carefully he responds to each question: Can you tell me how to recognise the symptoms of a potential polio case? Can you show me the records of any measles cases since I last visited? In the past, she would be writing down details of the disease surveillance system in this village in a notebook, spending time later typing up her notes, and emailing them to a central database. 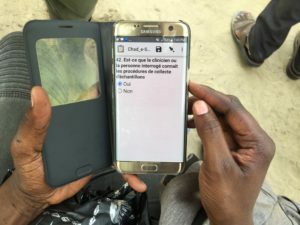 Today, thanks to the introduction of an electronic surveillance approach for active surveillance and monitoring of disease outbreaks, she inputs Robert’s answers directly into an app, allowing for quick, accurate, and up-to-date data collection. Hundreds of kilometres away in Nigeria, on the other side of the basin, surveillance officer Dr Namadi Lawal also feels the difference that innovative application-based technology has made to operations. For years, his employer, the National Primary Health Care Development Agency, depended on paper-based recording methods. When the World Health Organization introduced the electronic surveillance (e-Surve) approach, Dr Namadi discovered he was receiving far more accurate information in real time, making his work to defeat the poliovirus more efficient. “e-Surve is such a wonderful innovation. I can only imagine how much more accurate data I would have collected in a fast and effective manner if I had adopted this approach long time ago,” he says. The e-Surve approach involves the use of a smartphone application to ensure that health workers know what symptoms they should be looking for and how to report suspected cases of vaccine-preventable disease. After using the application to guide their conversations with health workers, disease surveillance and notification officers send the results of the questionnaire to a central database, where the data can be analysed and sorted by health district. This is one way to keep track of an outbreak response that covers areas of five different countries, all with their own unique health challenges. 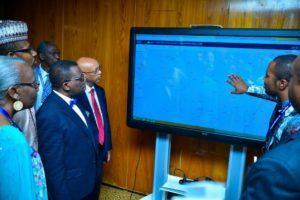 “This is remarkable progress as it shows where we can actually reach for surveillance”, said Dr Isaac Adewole, Nigeria’s Minister of Health, as he was presented with a dashboard of e-Surve during the recent opening ceremony of the African Regional Certification Commission in Nigeria. This innovation is particularly important as when cases of disease are not properly reported, an outbreak can be in full swing before a country even realises that there is a problem. Active disease surveillance, where officers physically go out to communities to speak to health staff and parents, is proven to increase case detection rates. 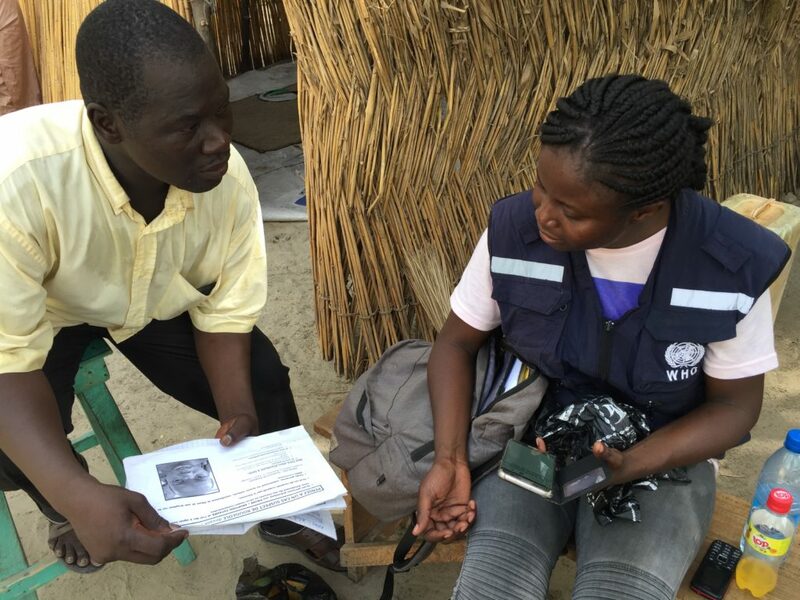 There are hundreds of these frontline workers spread out across the Lake Chad Basin, each conducting multiple visits every month. Before mobile technology, the outcomes of these visits were cumbersome to track, time consuming to catalogue, and difficult to analyse for a prompt response. 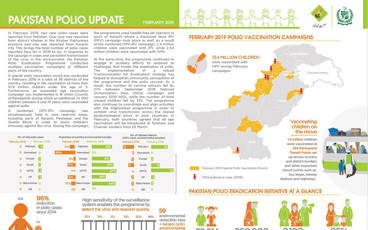 With e-Surve, governments and partners in the polio programme and other health programmes can easily see trends, track data, and take action. This encourages a preventive approach to disease outbreaks rather than a reactive one. In Nigeria, as of May 2018, about 18 840 active surveillance visits to health facilities had been made using e-Surve technology: as a result, over 3000 suspected cases of vaccine-preventable diseases – previously unreported from health facilities – were identified and investigated. Through innovation, determination, and commitment at all levels, those working to end polio are getting ever closer to their goal.